Update Your LinkedIn Profile. Seriously. Why Do You Need To Fix Your Profile? I had a friend ask me recently if I knew someone to fill three positions that he had open in his department. I was sure that I did. I knew a lot of people who did the kinds of jobs he was filling and I was sure it was just a matter of sending him links to my relevant contact’s LinkedIn profiles. I was sure that he would take one look at the profiles and would reach out to my contacts, schedule an interview and hire them. That was until I looked at the profiles. Iwouldn’t have hired them based on their profiles and I knewthese people. Profile after profile showed job title, dates, and THAT WAS IT! LinkedIn is an incredible tool for finding jobs (whether you are unemployed or not), meeting people who can help you with your next career steps and knowing what is happening with your contacts’ careers. Recruiters usually go there first when they’re looking for someone. Companies frequently go there when they are looking for specific skill sets. People who are unemployed go there. Why wouldn’t you be using it to it’s full extent? I hear people say that they want to keep their privacy on LinkedIn–so they block it so that peole can’t see their name or they don’t put their picture up. Ok. It’s your choice, but you’re leaving a lot on the table. A lot of opportunity. Make sure that your LinkedIn profile is as complete and thorough as your resume. Make sure that you have a skills summary and a headline. Make sure you’ve got a professional picture. Make sure you’ve got recommendations. Understand the new Endorsement feature and use it appropriately. 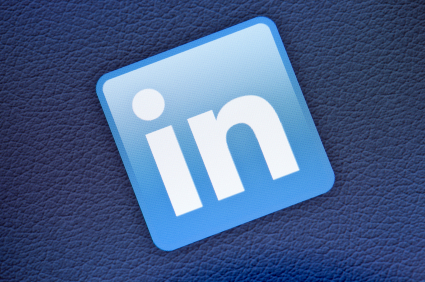 Read my friend, Skip Pritchard’s blog on endorsements, Endorsing the Endorsing on LinkedIn. I know I’m not the only person who has looked at LinkedIn profiles with the intention of finding someone for a better job. I know I’m not the only one who has gone past your profile because it didn’t tell me enough about you to get me interested.